The Painted Hills in John Day Fossil Beds National Monument. 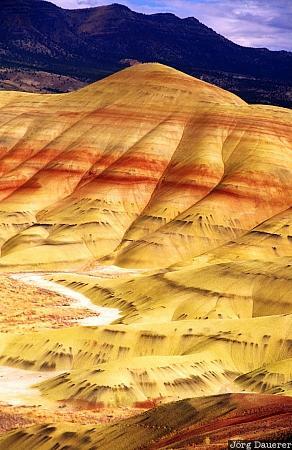 John Day Fossil Beds National Monument is in central Oregon in the western part of the United States. This photo was taken on a cloudy day in October of 2004.